Here's one for you, a 1988 Lamborghini Jalpa with a twin turbo setup and an LS swap. 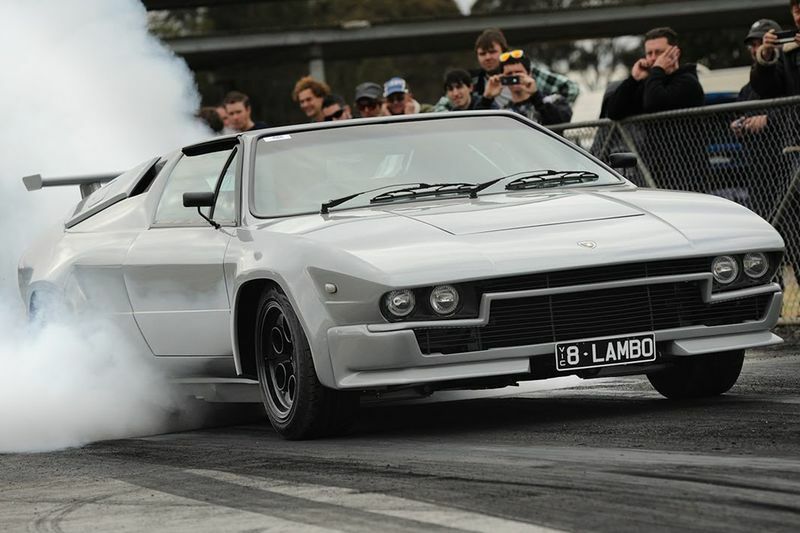 First off, just the name Lamborghini screams ridiculous speed but, in the 80's, 250hp was a serious amount of power. It doesn't sound like much nowadays when even the entry-level performance cars come out stock with that kind of power. The owner of this Lamborghini knows this, so what does he do? Yup, you guessed it, swaps out the stock motor of this 1-in-450, super rare, Jalpa with a Corvette LS... and, if that wasn't enough, he twin turbocharged the motor as well! The most interesting part? Well, he custom-built a Toyota Camry transmission to handle the power! It makes 690hp on the rear tyres with a bar of boost for a bit of motivation. Check out this ridiculous build below and be sure to let us know your thoughts.